I have been watching with interest as education becomes disrupted by a wave of online innovations, startups and visionary individuals. In particular Code School and Treehouse have caught my eye. These services have attacked the problem of professional education with a user experience / web designers eye. Using creative course structures and themes (Code School in particular), video, audio, text and presentation slides, they bring to life pragmatic and relevant topics around web development and design. But this is the cutting edge. The education system on the whole is, and remains, hierarchical, highly structured, rigid, and slow to evolve. To imagine that a UX type approach could come to mainstream K-12 education in the near future, is far from the mark, and by no means what I am advocating for. However we are seeing the development of purely online university courses at distinguished institutions, with enrollments in the hundreds of thousands, and this a giant leap forward. It is a natural reaction to an era of crushing university debt, living with parents or bankruptcy, simply because a decision made at age 18 didn’t turn out to be how you wanted to spend your working life (if you can believe that some people are so stupid, personally I knew exactly what I wanted to do from the age of 5!). It is no coincidence that cheaper, more fluid online alternatives are gaining traction. However there are competing business models and motives at work with these university courses. They are not motivated primarily by the need to expand education to those students who cannot afford the in-person version of their course. Instead they are fighting against becoming an anachronism, like studying Latin or the classics at Oxford. The result may seem to be the same, broader access to quality education, but it is still within a rigid university learning structure, and driven by a defensive rather than progressive posture. It is time to break free of this learning determinism. What services like Code School, Treehouse, Cousera and Khan Academy are doing is showing a new way to learn outside of these traditional education networks. It is about the pursuit of life-long learning in an age when evolutionary leaps forward in science and technology are happening multiple times a generation. The old model of learn until you are 18 or 22 then work until you retire is already looking, if you’ll pardon the pun, old skool. As a professional worker in today’s environment, to stop learning at 22 or even 24 / 5 following a Masters, is to doom yourself to a struggle for job security come middle-age. To stay relevant and more importantly engaged and motivated, you must stay on top of developments in technology, business, society and culture, and strive to understand the broader impact in your space. Be an admin clerk, market researcher or a project manager, if you do the minimum and don’t strive to keep learning, you will will wake up one day wondering where your job went. But, learning is not a constant pursuit. It ebbs and flows. Your interest in subjects peaks, troughs and then levels out. 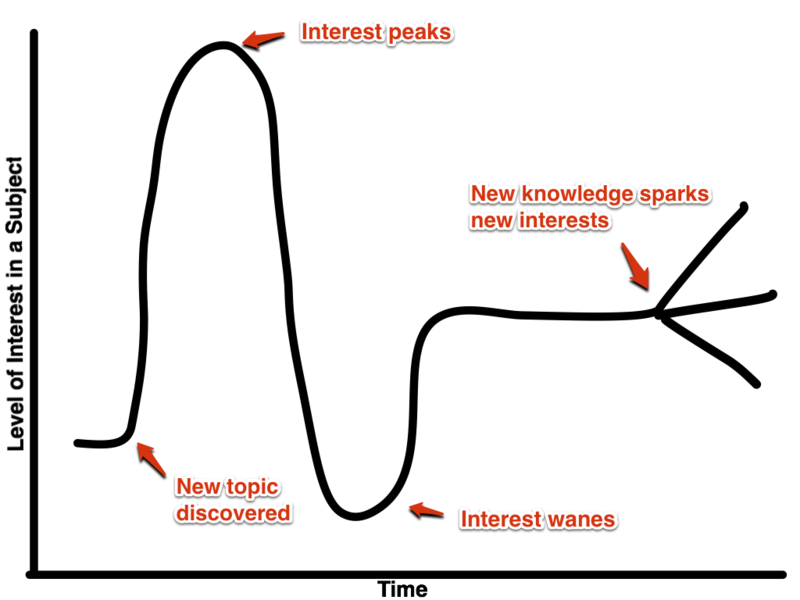 It’s like a Gartner Hype Cycle for your brain. This is where the existing education system breaks down. To take a course at a college, apart from the expense, you also need to join at the beginning of a semester, and the course will be designed to run long enough to justify hiring a teacher and devoting classroom space and resources. The topic is molded to the needs of the educational structure. After bending to this structure, by say starting the months after the interest peaked, the student may then arrive at the end of the course unenthused, or perhaps realize it is not exactly what they thought. It will still be a valuable experience no doubt, but you committed a lot up front, in time and money, for a mixed bag of results at the end. Online services such as Treehouse show us the potential to dip your toe in to subjects, gather enough knowledge to see it’s relevance or otherwise, and understand if you want to dig in deeper. All for $20-30 a month and a few stolen lunch breaks or hours in the evening, starting whenever works best for you. The traditional structured learning can come in after this period if required. I arrived at this conclusion after personally realizing how you can match or get beyond 80% of the population competing in your job market through the consistent reading of one good blog or magazine, or 2-3 good books a year. Even reading and understanding a full wikipedia entry, along with clicking a few links for context, can get you a long way down the path to a level of comprehension that is beyond a majority of your competition. But here’s what’s interesting. Whether you then immediately use that knowledge in your day-to-day job is not really the point. Learning opens the doors to serendipity and and increased perception of the world around you. Our brain does an excellent job of focusing on words and concepts we already know something about. We are constantly screening out more than we know. Through targeted, semi-deep learning, you are adding to that bank of knowledge just enough that your brain will now latch on to related concepts and phrases you hear which will in turn fire off more connections and thoughts related to other topics you know. This is when interesting ideas arise, and that’s where things get more fun. If you are excited by the result, you will naturally want to learn more. You can now take that idea, and do a little more research. Run down the rabbit hole and see what’s there. If that is achieved by taking a traditional classroom based course, then great, at least you are going in to it with your idea validated by earlier learning. The advent of true online education means you are free to follow that flow of interest and see where it leads with little financial or time repercussions should it be the wrong choice. Online courses allow us to follow our natural rhythm of learning. For some it is a more constant pursuit. Others can choose to dip in and out sporadically. But most importantly, cost, structure and tradition no longer dictate when and how you want to learn. 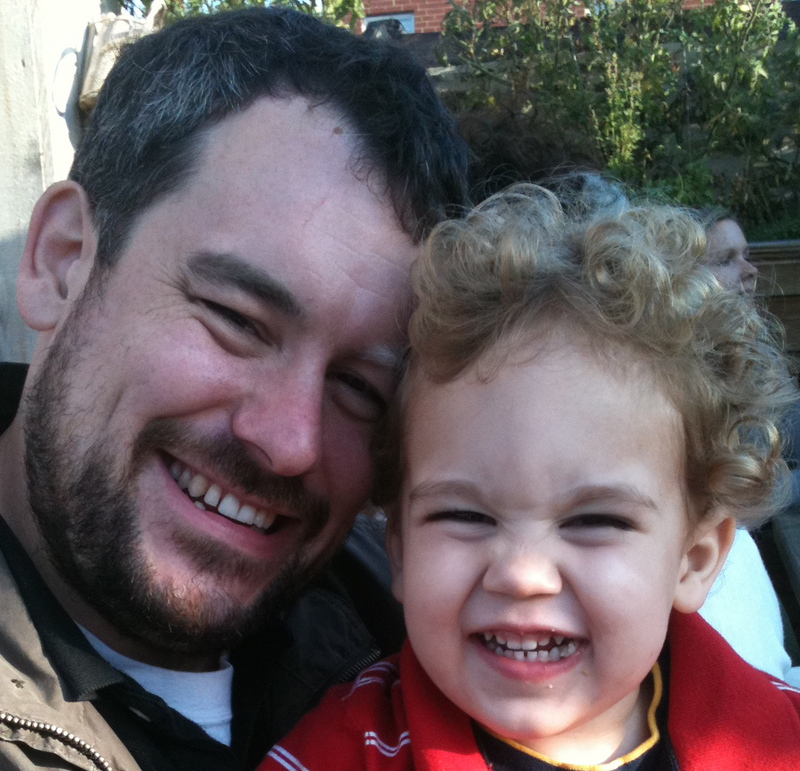 Mark Tattersall is a Product Manager at Braintree in Chicago who loves reading, listening and writing about technology, the Web, Agile and any other random guff that may enter his head.